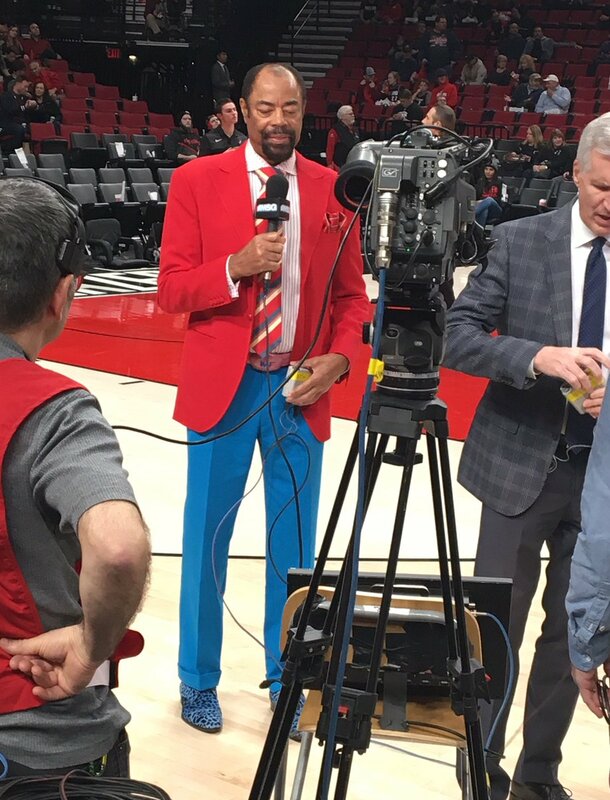 Clyde’s fly suit makes me wanna holla for tonight’s game against Dame Dolla! Clyde wore this same jacket and shirt combo for Game #2 against the Nets. This is the first repeat of the season and I’m forced to deduct some points. Bonus points for the blue pants and blue shoes not shown on TV.